On September 21, Montreal’s Place des Arts – the largest performing arts centre in Quebec – celebrated its 50th anniversary, marking the occasion with a presentation of Léo Delibes’ opera Lakmé and officially opening the 2013-2014 season of the Montreal Opera Company. Considered one of the major construction projects that changed Montreal’s metropolitan landscape in the 1960s, the Place des Arts was also one of former mayor Jean Drapeau’s major cultural initiatives. From the beginning, it provided French-speaking Quebec with a locus for cultural expression, as the Quiet Revolution began to unfold. Place des Arts was inaugurated by the Orchestre Symphonique de Montréal on September 21, 1963, and was led by two eminent conductors: Zubin Mehta and Wilfrid Pelletier. The largest hall was, in fact, named in 1966 in honour of Wilfrid Pelletier. Only a month later, Les Grands Ballets Canadiens de Montréal would become the first dance company to perform at Place des Arts, playing an important role in building the reputation of the complex as one of the most important art venues in North America. The first opera presented at Place des Arts was Mozart’s Don Giovanni, by the Opera Guild of Montreal. Popular culture found a home at Place des Arts as well with Claude Léveillée as Quebec’s first singer to perform solo there in 1964. In 1980, the newly founded Opéra de Montréal Company staged its first three productions, setting the company off on a path that would see it become the largest francophone opera company in North America. The Opéra has remained one of the resident companies of the complex, along with the Théâtre Jean Duceppe Company and Les Grands Ballets Canadiens. 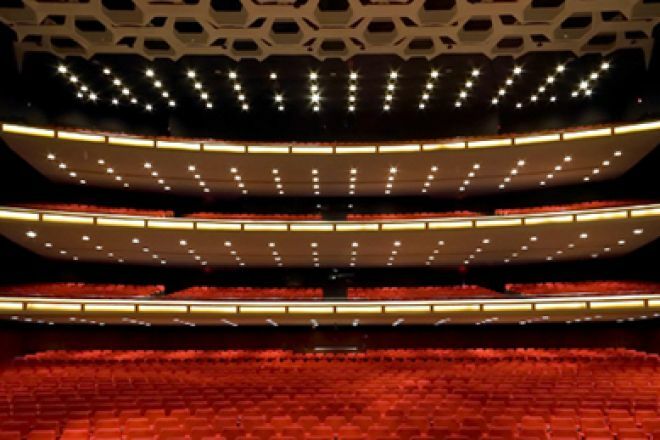 During these 50 years, the six concert halls that make up Place des Arts have hosted over 40,000 performances, ranging from opera to ballet, to music and theatre. Located in what has become the core of Montreal’s performance arts district – the Quartier des Spectacles, which today also houses the Montreal Symphony House and the Museum of Contemporary Art – the Place des Arts has welcomed more than 45 million people in one or another of its halls that comprise a total of 8,000 seats. Although Place des Arts receives government support, most of its operating budget comes from the institution’s own revenues. Today, Place des Arts presents over 1,000 performances a year, with cultural programming from the resident companies as well as from multiple collaborators, thus showcasing the full range of artistic expression in the city of Montreal.